Sand is known to the other Evolvers as having a unique ability for keeping the live homework rooms always full of energy and she did not disappoint in this interview! We covered a lot of ground in this episode talking about education, life as a working professional and the passion and drive it takes to make it as a full-time creative. For me, the big insight from Sand was exploring those who choose art as a career vs those who create art for a hobby. I was never able to understand why people who were ‘better’ than I was at art would choose what seemed to me like a career path that would be unfulfilling, but Sand helped me to really understand why this is, and it completely makes sense. For some of us the goal is creative expression but that is just our goal, and each person has their own goals an motivations… for example if your goal is safety, security and high pay, then choosing a creative career could seem really scary compared to other options. To put it another way… there are a lot of people who enjoy singing and playing instruments who have no intention of ever being in a band or performing. This doesn’t mean they can’t still enjoy music and even be amazingly skilled at it – it’s just that their goals and priorities aren’t in alignment with being a professional musician. 26:23 – What pushed you to start with Evolve? 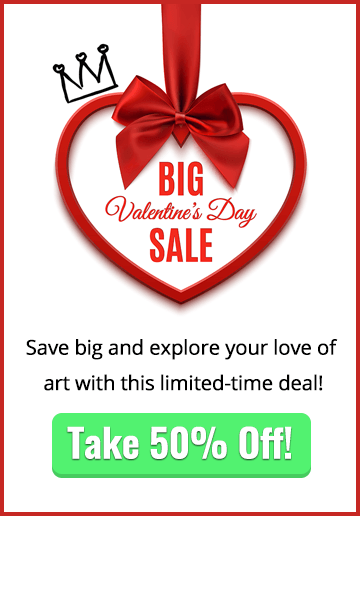 45:56 – What is your strategy for getting your artwork done? 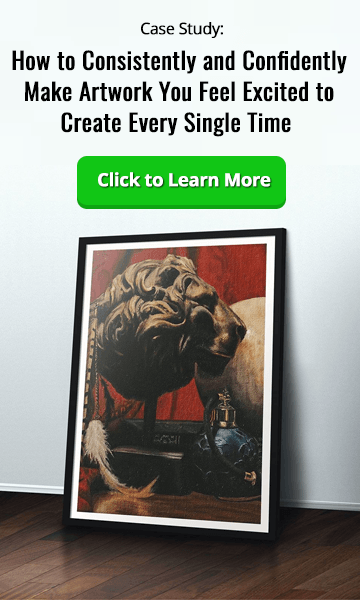 55:00 – What advice would you give to someone who just started with Evolve today? 59:00 – Exploring the difference between the creative path and other less creative ways of living *This question was a real eye-opener for me personally to help explain why us creatives do what we do, and why people who have high creative skill don’t end up doing anything with it. 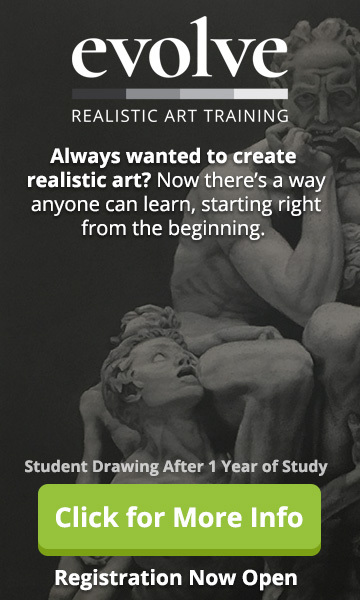 Ready to take the next step and get serious about your art?